We are Wedding Planners in Florence and Tuscany, Party Planners and much, much more ... As professional Wedding Coordinators and Event Organisers, you will find that we can offer quality service that is based on dedication to our clients. We always aim to carry out with sensitivity and professionalism our activity of wedding and event planning. Our mission: “ TURNING YOUR DREAMS INTO REALITY”. hoping to have a destination wedding in Florence or in Tuscany. to know you and understand the ambiance you want to create. extraordinary romantic day that will be felt and remembered by all. 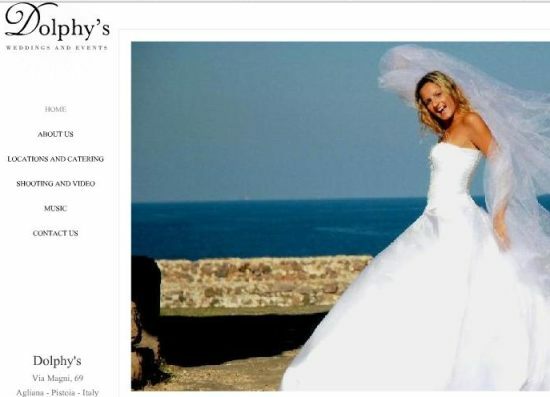 specializing in planning destination weddings in Florence and Tuscany. Rural and urban scenarios, so often captivating even for hollywood stars and spectators all over the world. Or for movies scenes, from “the English Patient” to “Life is Beautiful”. From Ivory’s sequences to the final scene in “the gladiator” in which the director compares Eden to a panoramic view of the Tuscan Countryside. Entertain your guests or hold a special celebration in one of Florence’s exclusive settings. Corporate event, weddings in Florence , anniversaries and once in a lifetime celebrations are our speciality. Entertain your guests in style in a castle near Florence or in a five star hotel on the Florentine hills, providing them with a day to remember. We also arrange Cooking classes in typical Tuscan farm-houses where it is still possible to enjoy the genuine atmosphere and the true Tuscan cuisine! Our chefs will make you to discover the secrets of the Tuscan savours and cuisine in a very typical atmosphere! Pothographing and videoind those special moments of your wedding Day anables you to relive the most important day of you life over and over again. We have a group of experts (both photographers and film-makers) who, working in close collaboration give you the best results possible. For excursions we can organise for you and your guests anything from museum visits, city tours, boat trips, cultural events, mountain walks to much, much more. Not only wedding in Florence! Quality does not just make our clients happy, but they also want the opportunity to feel the emotions when celebrating their unforgettable wedding and honeymoon in Italy: beautiful surroundings, friendliness, true Italian experiences, in one word, “charm”! Our chefs can prepare a tailor-made menu for your private or corporate event. We take care of all the details that will provide you with an unforgettable event. Live musicians make it a special time for you and your guests to remember. We can organize private tours for you in the cities of Florence, Siena, Versilia Viareggio and Pisa with licensed guides who speak your language. magnificent castles where you can do a wine tasting and visit their wine cellars. We can book for you and your guests fabulous villas, historical castles, charming hotels. will listen to your needs and we will tailor the services to your wishes. Many songs, poemes and words have been spent about the wedding day, considered by far by common imagery, the “most beautiful day” of one’s life. To frame it off with a suggestive and unique surrounding such as Tuscany is all one has to do to make it even more special. This being the frame, the content is what we take care of. Professionals at your disposal, having as only goal in mind to satisfy the happy couple with an unique experience, no worries of any sort in terms of organization or burocracy. A way to grant the betrothed a day to devote themselves entirely to the person they are going to say “yes” forever. Photo services and videos entirely in the hands of TV professionals, the possibility of choosing the bouquet and the floral decorations, a collectable car or the more traditional carriage, wonderful Tuscan palaces for an absolutely perfect ceremony. Banquets enriched by a long dating gastronomical tradition and wetted in the most prestigious wines. A suitable sound track for the ceremony or the reception; a civil or religious service celebrated in ancient churches or traditional palaces, real masterpieces of art that will contribute to make the event float in a timeless atmosphere. The Chianti hills, the Tirrenian seaside, the narrow and winding roads defined by ancient cypress trees, the romantic churches scattered in the golden countryside entirely covered by wheat fields. These are the ingredients of a truly unforgettable wedding day, that will remain captured in the eyes of bride, groom and their guests, in the images they will later look at with unutterable nostalgia. We offer extraordinary wedding banquets bringing together the traditional Tuscan cooking (noted throughtout the world because of its genuineness) and the characteristics of a mediterranean diet. We concentrate on the use of simple but high quality ingredients from the Tuscan region (e.g. olive oil, Chianti wine and local home grown fruit and vegetables) wich have all become an integral part of the Tuscan. With our carefully screened selections of romantic Florentine and Tuscan hotels, luxury Tuscan vacation sites, and well-designed Tuscany tours, we offer an “insider” Tuscany guide to the best wedding, honeymoon and travel experiences one could only imagine in Florence and Tuscany.